Villa4UFlorida is an authorized "Walt Disney World Orlando" ticket seller and an official location to buy tickets for Walt Disney World as well as many more of the Central Florida attractions. Providing discounted tickets to the regions major attractions we are extremely proud to be working alongside The Official Ticket Center, Orlando's Number 1 Ticket Agency, to provide not only Villa4UFlorida guests but any one of the millions of visitors here to Orlando to offer you discounted prices to the states major attractions. Attractions include and are not exclusive to: Universal Studios, Islands Of Adventures, Blue Man Group, Wet 'n' Wild, Sea World, Busch Gardens, Discovery Cove, Aquatica Water Park, Kennedy Space Center, Boggy Creek Airboat Rides and many many more. Please scroll down for more Villa4UFlorida offers. Villa4UFlorida fully understands the desire to escape the colder climates outside of Florida during the winter season. No one enjoys scraping the ice from the car in the morning! Every year Villa4UFlorida welcome travellers moving away from the colder weather, the wind, the rain, the snowstorms all in the search for warmer climates, and with every year seemingly getting worse then where better to stay than here in Orlando where we have a permanent summer! With many guests looking to stay months at a time, we understand that the cost of your stay needs to be right. We are fully versed in offering you a home away from home with affordable, comfortable and relaxing accommodation. Villa4UFlorida have properties perfectly situated in the heart of the states attractions, you can be just 15 minutes away from Walt Disney World and a little over an hour away from either the Gulf coast or the Atlantic ocean. So please if you are thinking of a place to stay for 4 weeks or more here in Orlando, at any time of the year, get in touch with our reservations team to see which properties we can offer you at a discounted "snow bird" rate to escape the cold harsh weather outside of Florida. The reservations team can be reached at bookings@villa4uflorida.com or by using the form on our "Contact Us" page or simply call us on +1 407 965 5093 to talk to one of our team about the discounted rates and offers that we have for you here in Orlando. Terms and conditions do apply, please speak to a reservations coordinator for more information. Villa4UFlorida and Orlando Balloon Rides have come together to offer you views of Florida like you've never seen before! Booking with Villa4UFlorida will guarantee all Adults in your party a discount code with Orlando Balloon Rides. 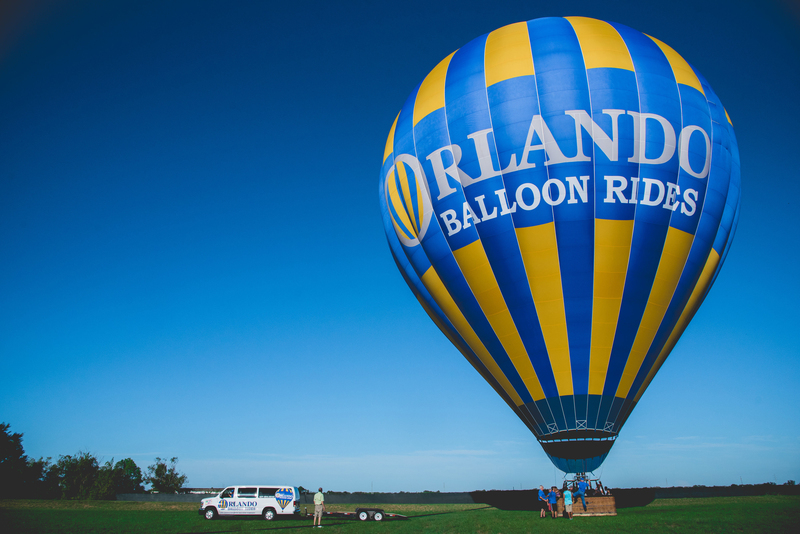 The Orlando Balloon Rides welcome center is close to all of our homes here in the Disney area and they can take you on a flight that will ascend anywhere from above the tree tops to several thousand feet high. The flight can take approximately an hour and you will get to see anything from the local theme parks, orange groves, forests to swamps. Open 365 days a year (weather permitting) the sunrise flights depart from many launch sites. Finishing off with a traditional champagne (non - alcoholic beverages also available) toast to celebrate your wonderful adventure after you've landed, giving you plenty of time to head back to your Villa4UFlorida home and lounge by the pool! The reservations team can be reached at bookings@villa4uflorida.com or by using the form on our "Contact Us" page or simply call us on +1 407 965 5093 to talk to one of our team about our homes here that we have for you and your party here in Orlando, be sure to ask for your Orlando Balloon Rides code when your reservation is made and do not miss out on this great opportunity to see Florida above the treetops. Is there anything better on a hot summers day than enjoying a cold drink and BBQ with your friends and family, relaxing and dining outside by your very own private pool? We appreciate that not all of our villas come equipped with BBQs or grills, so Villa4UFlorida has an additional service available to all of our guests for the opportunity of a BBQ rental. This rental can be for the entire duration of your stay here in the sunshine state or just for a number of nights, the choice is yours, but what better way to accompany your self catering vacation in the Florida sunshine than with an outside grill. Please ask one of our team here at the Villa4UFlorida office for more details on how to reserve your grill for your stay. You can reach us at bookings@villa4uflorida.com or by using the "Contact Us" page above. Or simply call us on +1 407 965 5093 to talk to one of our team today.